1. Reliable – We actually “do what we say we’ll do.” What a concept… but nowadays, it is rare to find a company that believes in that simple principle. 2. Resourceful – This is new home construction in Minnesota. Things don’t always go as planned, but we are experts at getting our builders “out of hot water.” We are clever, skilled in improvising, and will find a way to get things done for you on time and on budget. 4. Quality – Our goal is to be recognized as the best residential plumbing contractor in the Twin Cities metropolitan area. You don’t get there by installing “cheap” materials. We use American made material… NO IMPORTS! Our plumbers are well-trained and experienced. There is an old saying that goes “Good seafood isn’t cheap, and cheap seafood isn’t good.” The same goes for plumbing. 5. Value – We provide top quality material, installed by skilled & experienced plumbers, supported by the best Project Manager in the plumbing business. On the rare occasion, when you need it, we provide prompt & professional warranty service all at a competitive price. Look up “Value” in the dictionary and you’ll see our picture. 6. Integrity – We are honest and forthright with our builders. Spring Plumbing and all of its employees run on a consistent framework of principles. We do not compromise those principles to “save a buck.” When given the difficult choice, we will do the right thing. 7. Customer Service – Our company slogan is “Making Lasting Connections,” and it means that nothing is more important to us than the long term relationships we share with our builders. We recognize that every aspect of our business has an impact on customer service, not just those aspects of our business that involve face-to-face customer contact. 8. We sweat the “small stuff” – Perry Paxton said “Excellence is in the details. Give attention to the details and excellence will come.” We agree with Perry and that’s how we do business. Not that we don’t make mistakes, but our detailed procedures keep them to a minimum. 9. Experience – Randy has over 35 years experience in this business. Theresa & Alan are knowledgeable and respected people in the Twin Cities plumbing industry. 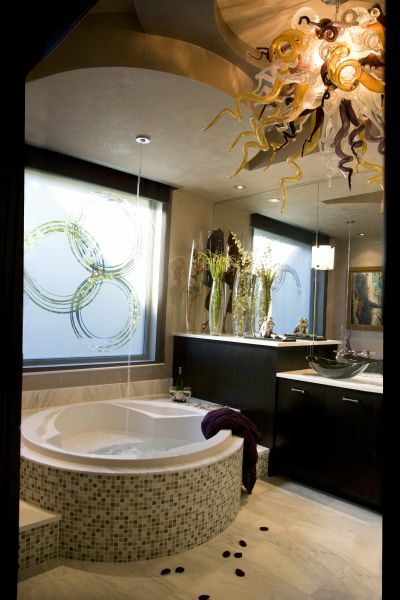 Our plumbers are skilled and experienced in custom and luxury homes. 10. Builders Club – Earn valuable points by working with us and paying “on time”.